SPRINGFIELD, Ill. – Feb. 14, 2019 – State Senator Jason Plummer (R-Edwardsville) will join a group discussion in Centralia on Thursday, Feb. 21, alongside Representatives Wilhour and Meier from the Illinois House. The town hall follows the governor’s budget address scheduled for Wednesday. Together the lawmakers will tackle topics ranging from economic development, job creation, taxes, and other important issues facing the State of Illinois. The town hall will also touch on legislation circulating in the Illinois General Assembly such as minimum wage, gun control, and the legalization of marijuana. The town hall is open to the public and members of the media are welcome to attend. TROY, IL – State Senate candidate Jason Plummer has received two key endorsements from business groups that represent thousands of Illinois small businesses. Both the National Federation of Independent Business and the Illinois Chamber of Commerce have endorsed Jason Plummer in his bid for State Senate in the 54th District. Plummer, a businessman and Vice President of R.P. 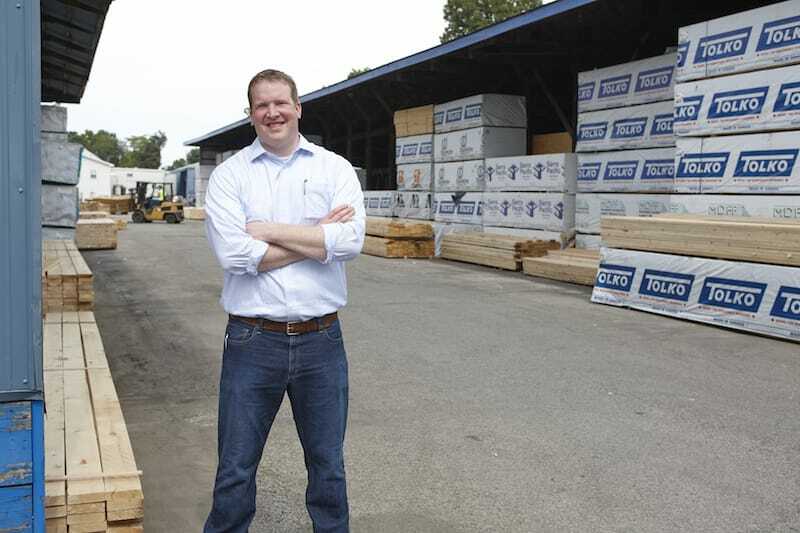 Lumber Company has touted growing the economy and creating quality jobs as core aspects of his campaign. "I'm honored to have the support of these business groups and their many members throughout Southern Illinois," Plummer said. "Both the NFIB and Illinois Chamber of Commerce are doing a great job advocating for hard-working people and trying to foster an environment of job creation in Illinois. What they understand is that businesses and workers have been under attack in our state. Southern Illinois has seen its native industries smothered by a hostile regulatory policies and small business owners are bearing the brunt of the income tax increase." The NFIB Illinois PAC's support is based on the candidates' positions and records on small-business issues. "Our members support candidates who support small business," said Mark Grant, NFIB state director for Illinois. "These candidates clearly understand the vital role small businesses play in the state's economy and are committed to creating an environment where they can expand and create jobs." Likewise, the Illinois Chamber of Commerce PAC, one of the oldest in Illinois and representing local business interests from across the state according to their website, defines itself as an ally to "pro-business candidates." Plummer does not believe that the state's economy is beyond repair. "My message is that Illinois can absolutely compete for jobs if we listen to the people who create them. I'm a pro-growth candidate and I will stand shoulder to shoulder with groups like these that defend Illinoisans against the onslaught state government overreach and over-taxation. We have vast potential that is just waiting to be realized if government can move out of the way." TROY, IL — Trustees from the Illinois Farm Bureau ACTIVATOR committee representing each county in the 54th State Senate District have voted to endorse Jason Plummer to be the district's next State Senator. This endorsement recognizes Plummer's longstanding commitment to supporting the agricultural sector and farmers across the state. Illinois Farm Bureau ACTIVATOR is a non-partisan advocacy group that supports pro-agriculture candidates for office. "The 54th District has an abundance of prime farmland as well as a thriving dairy industry. The fact is that thousands of families in Southern Illinois depend on agriculture for their livelihoods and it's a key part of our economy," Plummer said. 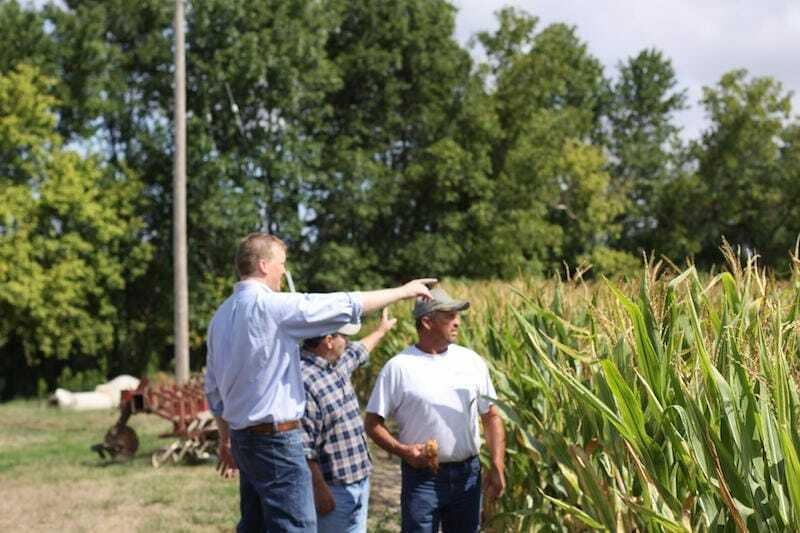 "Speaking to farmers, I've heard about a lot of unique issues that they face in dealing with the Department of Agriculture, the EPA, and other agencies and when I get to Springfield I will do everything possible to make sure farm families have a seat at the table. I'm humbled to have been endorsed by the ACTIVATOR committee and I look forward to partnering with them on important issues." An early supporter of Plummer's campaign, Gale Koelling, is a farmer from Washington County and Chairman of the 54th Legislative District ACTIVATOR committee. He believes that Plummer will be an effective voice for the farming community. "Jason has a strong understanding of agricultural issues and will be a problem-solver in Springfield. He never shies away from asking questions or seeking advice and I believe that he'll be an asset for the people of Southern Illinois in the legislature." TROY, IL - An organization that has dedicated itself to implementing a hard cap on property taxes in Illinois, Save Your Home Now, has endorsed a select few candidates for state office in this election cycle. One of those candidates is Jason Plummer, the Republican running for State Senate in Illinois' 54th District, who has been a strong advocate for lowering property taxes to keep residents from being priced out of their homes. "Property taxes in Illinois are crushing families, forcing them to leave the state, and costing Illinois quality jobs," Plummer said. "I'm extremely proud of this endorsement. Save Your Home Now is a non-partisan organization that's committed to lowering property taxes for all Illinoisans. I promise that I will fight every day in Springfield for real property tax reform. On their website, Save Your Home Now touts the fact that states as politically diverse as California and Indiana have implemented a 1% property tax cap as a percentage of home value. They also note that these states are still able to fund high-quality essential services, like schools and first responders. "High property taxes is absolutely one of the biggest issues I hear about from voters across the district and Springfield has to fix the problem. It's ridiculous that Illinois continues to lose jobs and people to Indiana or Missouri and it is time that our politicians found the political courage to actually balance the budget and lift this burden off of homeowners," Plummer stated. Plummer has campaigned for lower property tax rates as well as repealing the 32% income tax increase enacted by the General Assembly last year. He has received the endorsement of Tax Accountability as a result of his commitment to lower taxes and advocacy for taxpayers who are being priced out Illinois. Echoing this, Plummer added that he is "running for Senate to promote growth, create jobs, and make Illinois competitive and will strongly oppose the push by democrats to raise taxes and drive even more people out of the state." Troy, IL – As Illinoisans prepare to celebrate this year’s Fourth of July, many are driving long distances to neighboring states to purchase fireworks. This is because Illinois has one of the strictest laws against buying fireworks in the country. Jason Plummer, who is the Republican candidate for State Senate in the 54th District, says that this law needs to be replaced and that he will push to change it in Springfield. "The consumer fireworks ban in Illinois is a ridiculous policy. In forty-six other states a person can buy fireworks and that includes all of the states that surround Illinois. When Illinoisans simply choose to cross the state border to buy fireworks in Missouri, Indiana, or elsewhere, our businesses lose customers and our state loses millions in tax revenue. People should be able to buy fireworks for Independence Day and I would support good legislation that allows them to do that," Plummer said. Persons in possession of illegal fireworks in the state can be subject to criminal penalties, including fines and jail time. However, with limited resources at their disposal and higher priorities at hand, many law enforcement jurisdictions have opted out of actively enforcing the fireworks ban. Plummer indicated that the fireworks law is just one example of state government overreach. "The nanny-state mentality in Illinois government is at the root of our problems. People should be free from burdensome rules that tell them how to live their lives and run their businesses. We should be worried about solving a real problem, like the slow economy in our state, and not harping on regular folks who just want to shoot off fireworks in their backyard to celebrate our great nation." In May, the Federal Reserve Bank of Chicago published an opinion piece which proposed a way to pay down our state’s massive unfunded pension liability. The solution? Raise property taxes on every homeowner in the state by around 1% of a home’s actual property value every year for the next 30 years. In their words, "homeowners with homes worth $250,000 would pay an additional $2,500 per year in property taxes, those with homes worth $500,000 would pay an additional $5,000" etc. Some elected officials in Springfield support ideas such as this one, or others like it, which result in crushing tax increases for everyone. I want to make it clear to voters why I stand against such proposals and why they ultimately don’t solve the state’s fiscal crisis. According to the ratings agency Fitch, Illinois has the highest pension burden of all 50 states; a cost that some estimate to be over $250 billion. It’s important to point out that the Chicago economists who crafted this tax plan relied on a much smaller figure, $129 billion, when coming up with their proposal to raise taxes on every Illinois homeowner for the next three decades. This means that if enacted, this proposal would actually fall well short of eliminating the pension cost and taxpayers would still be on the hook for more. There are several assumptions that these economists made that our leaders cannot afford to entertain. We cannot assume, or trust, that Illinois will succeed in making its regular payments to the pension system because it has failed to do so in the past. We cannot assume that it is somehow "fair" for taxpayers to bear responsibility for correcting the terrible public policy that has led us to where we are now. We cannot assume that such proposals will not in fact worsen our fiscal crisis. For instance, Illinois lost more population than any other between 2016 and 2017, according to census estimates. If so many of our fellow citizens are choosing to pack up and leave the state now, imagine how much out-migration will increase if schemes like this one are put in place. In their paper, the authors acknowledge that it would be difficult for many taxpayers to bear the burden of this new tax. They admit, and actually count on the fact, that this idea would drive down home values and they even recommend imposing a steep tax penalty for any existing homeowner who attempts to sell their home and leave the state. Yes, you read that right. What a scary concept. Tax homeowners, destroy property values, and penalize the ones who try to leave, effectively making them prisoners in their own homes. The effect that this measure would have on economic confidence in Illinois would be disastrous and the hardship placed on working families is shocking and immoral. Only academics in their ivory towers could concoct an idea like this one without reflecting more carefully on the terrible consequences faced by already over-taxed families throughout Illinois. Thankfully this plan has been met with widespread criticism and is unlikely to gain traction, but its outline is representative of a larger, and very real, problem in Illinois: career politicians will continue to punish innocent taxpayers for their sins. They will talk about shared sacrifice to address the pension issue, but the pain is always felt most by the middle income taxpayer. I will not allow plans such as this one to go unchallenged in Springfield and every Illinoisan should view similar proposals with great skepticism. If history is any indication, you can count on the state to significantly underestimate the true cost of such plans. We cannot continue to raise taxes on a continuously shrinking tax base. We need new leaders with long-term solutions, not Band-Aids, to fix the serious problems we face. Troy, IL – Springfield lawmakers are now considering a bill, House Bill 5878, that would significantly increase penalties for politicians who abuse their power for financial gain. This anti-corruption measure is supported by Governor Bruce Rauner and was formally introduced by Representative Grant Wehrli. Jason Plummer, who is currently running for as the Republican for State Senate in the 54th district, says he supports the bill. "One of the reasons that people and businesses are afraid to come to Illinois is the fact our state has one of the worst reputations for public corruption in the country," Plummer said. "This specific bill does two things: it demonstrates to the public that Illinois is serious about punishing criminal politicians and it promotes a political culture where the consequences of violating the public trust are real and severe. I applaud Governor Rauner and Rep. Wehrli for bringing this issue to the forefront." Public corruption is a big problem for Illinoisans, costing the state an estimated $16.7 billion between 1997 and 2008 and the federal Northern District of Illinois had the most public corruption convictions of any district in the country between 1976 and 2010. Plummer is campaigning for political reform across the board. "Every political system has bad actors, but Illinois has a political system that creates bad actors. This problem is closely related to the fact that we don’t have term limits and we allow career politicians to draw gerrymandered political districts. I want voters to know that I will be a strong, independent voice for political reform and for punishing those who abuse their power and harm the state’s already battered reputation."